Our media first aid training is all about building confidence and knowledge in life saving skills. But we want people to have easy access to memory joggers and this is were our Lazarus Training app comes in. Our #trainforreal courses are all about immersive, practical, empowering training. We clearly see the delegates’ confidence and knowledge increase during our time with them. 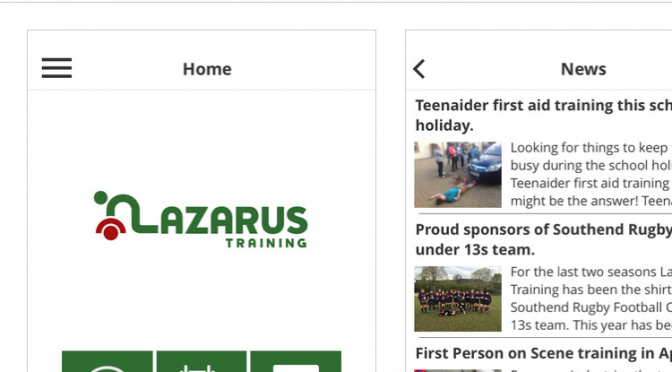 But we all benefit from a bit of revision and recapping, so to make this as easy as possible Lazarus Training app is now available for free from the usual places such as the Apple App Store and Google Play. 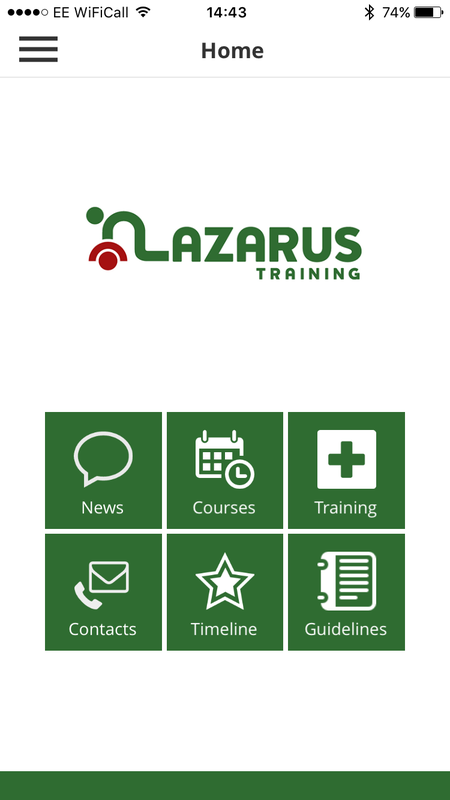 Most of us are rarely without our mobile phones nowadays, something which must be great for the speed of 999 calls, but with our Lazarus Training app we can make this an opportunity for that much needed revision. What’s in the Lazarus Training App? We have tried to keep the size of the app small [we all know the pains of juggling phone storage], but to give access to the main information you would want. There is a calendar of our forthcoming training events; under Training you will find overviews of many topics from out courses ie AED use; Guidelines has a range of first aid guidelines and mnemonics and of course their is a news section. 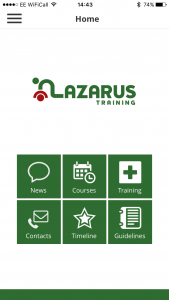 We understand that you may not want to hear everything that is going in at Lazarus Training, so you can select what notifications you want and additionally give us feedback, on both the app and our training, via the main menu. We will be adding new content to the app all the time and as the technology evolves we’ll try and find new ways to use the app. We now have videos embedded into the Training section and plan to increase this over time. If you are out of signal, or have turned off your data, you can still access the main parts of the app, such as guidelines but you won’t be able to access the video content. One of the reasons for the app was to ensure that we stay in touch with the great people that have attended our training courses, so we have included a form that you can complete if you use your first aid. We really are interested in your experiences as this can help us adapt the training for the future. So whether you download it to get the guideline reminders, check our training calendar or to let our know your feedback- just download it!